Will a Skincare or Cosmetic Product Cause Acne? Since writing this one year ago I’ve learned so much and as a result my horrible acne has improved considerably…almost to the point where I can say I’ve mastered controlling it…all on my own, and without prescription drugs. I intend to write several posts which cover in detail all that I’ve learned, with before and after photos, but I wanted to add one thing here that I think is important enough to include before I get around to doing that. 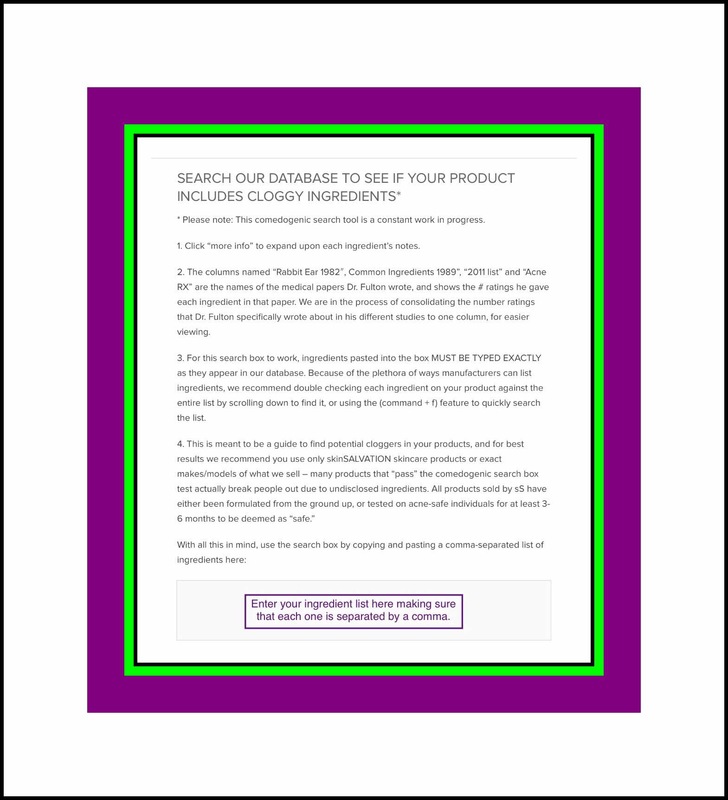 The site I discuss further down the page for discovering which ingredients if any, might be contributing to your acne problem was a spammy or ad-filled one. 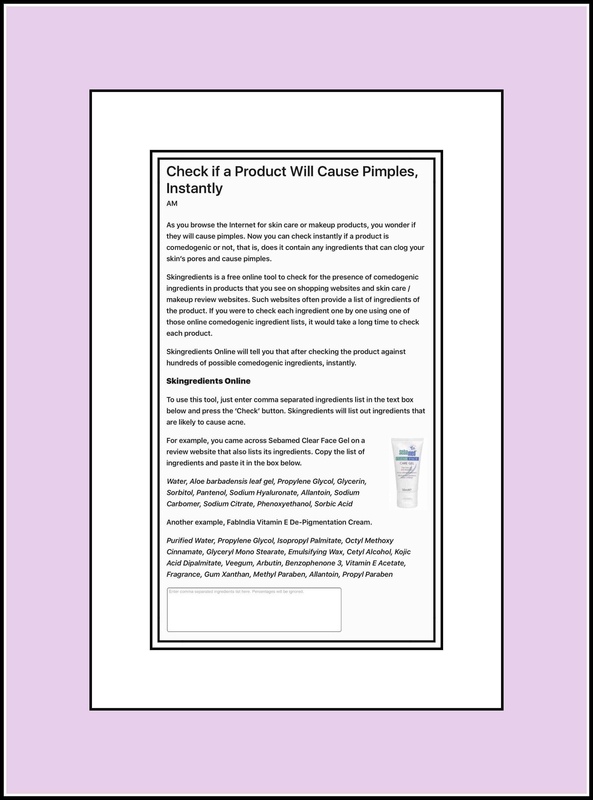 I’ve since found a much better, more reliable site for checking the ingredients of any skincare or cosmetic product to see if comedogenes are included. In fact, I’ve found this site to be so helpful that nothing touches my face until I’ve deemed it ‘comedeogene free‘ using this ingredient checker. The site is Skin Salvation. 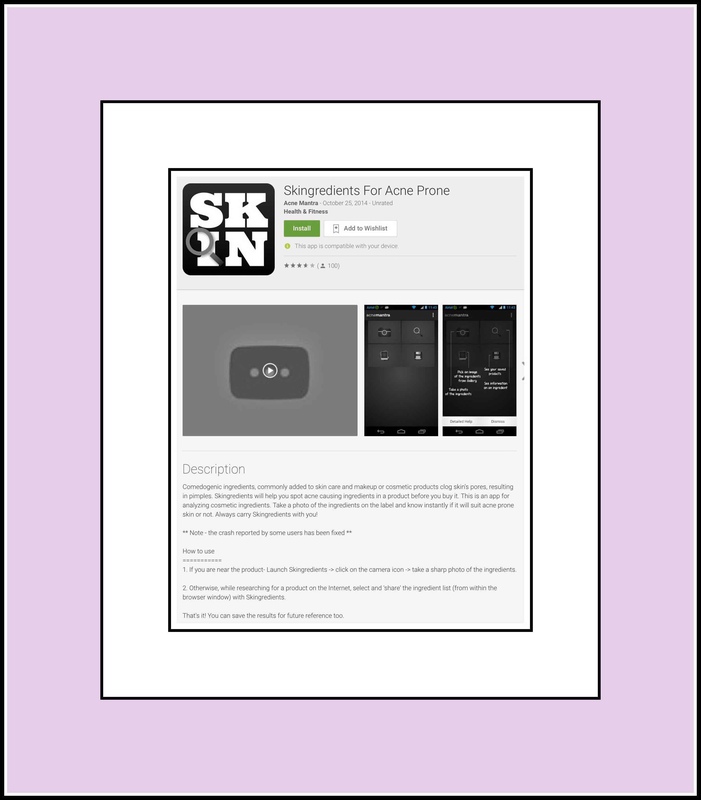 The fastest way I find it is by Googling the words ‘skin salvation comedogenic‘. 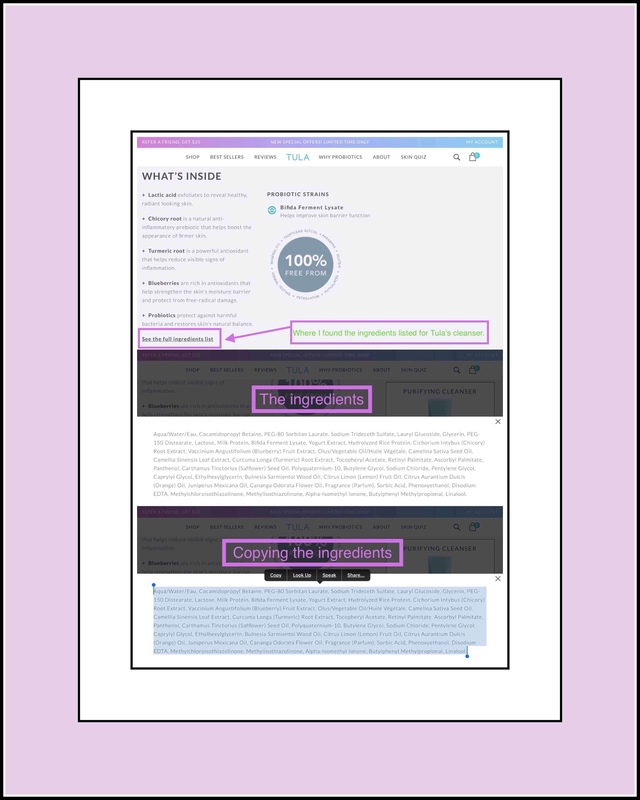 If you scroll down about a page and a half you find the section shown in the screenshot below. Just enter your list of ingredients into the blank box. When you do that you’ll be shown something like the next screenshot. Any ingredient which is flagged is highlighted in yellow…it’s comedogenicness is shown in the rating immediately below that. The screenshot below provides some information about interpreting the results, but basically any ingredient that is flagged with the rating of 3-5 is definitely comedogenic and shouldn’t be used. I take a green star sticker and put it on all products that pass this test. I recently entered my 60’s and also recently began to experience really awful acne. The multiple reasons responsible for this occurrence are a long story for another day, but in my quest to solve this problem I learned that many dermatologists are now prescribing probiotics for acne patients as a means toward improving or completely resolving their acne symptoms! After spending some time researching which probiotics would be best for me to take I learned that my past use of antibiotics to control acne was probably one of the key reasons why my acne is so awful now. Apparently there’s a rebound effect that causes acne to become much more severe when the antibiotics which controlled it are stopped abruptly. I already knew that taking probiotics was good for antibiotic related side effects, but learning that they were also very good for actually controlling acne too was new information. This knowledge has been a bit of a break through for the world of medicine and for me. Consequently I’ve begun taking a boatload of probiotics and I think they’re helping. If anyone is interested in what I ordered, I purchased them all from Amazon and I’d be happy to provide information about the specific probiotics I’m taking. While I was researching probiotics I learned about a newish company that customizes probiotics for individuals based upon ‘gut’ samples you send them. The company is Thryve. The word comedogenic basically means…to cause acne. If you want to make sure that any new skins care products or cosmetic products that you buy won’t aggravate your acne problem, you should make sure that you buy products that are non-comedogenic. Any good skincare or cosmetic product line should list all of the ingredients that are contained in their product. Having this information at your disposal is critical in determining if a product will cause your acne to flare up. 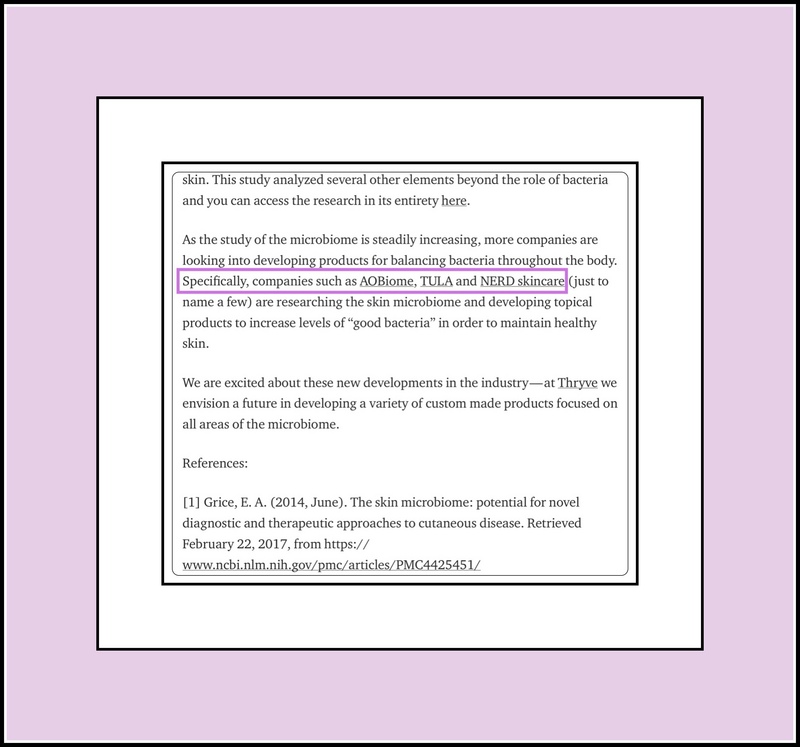 In the past determining whether or not a specific product was comedogenic was a really cumbersome task. I’d write down the full list of ingredients and then one by one I’d Google each of them trying to find articles that discussed this specific aspect about the product under consideration. It never really dawned on me until today that I could also email the product’s manufacturer…which you’ll see below is what I did try out today. We’ll see if I get a response to my 2 inquiries. Before I get into the better method…here’s a little more background on what transpired today which led to my decision to write this post. Using the article above’s links, I visited the websites of each of the 3 companies mentioned that carry product lines which include probiotics as ingredients. 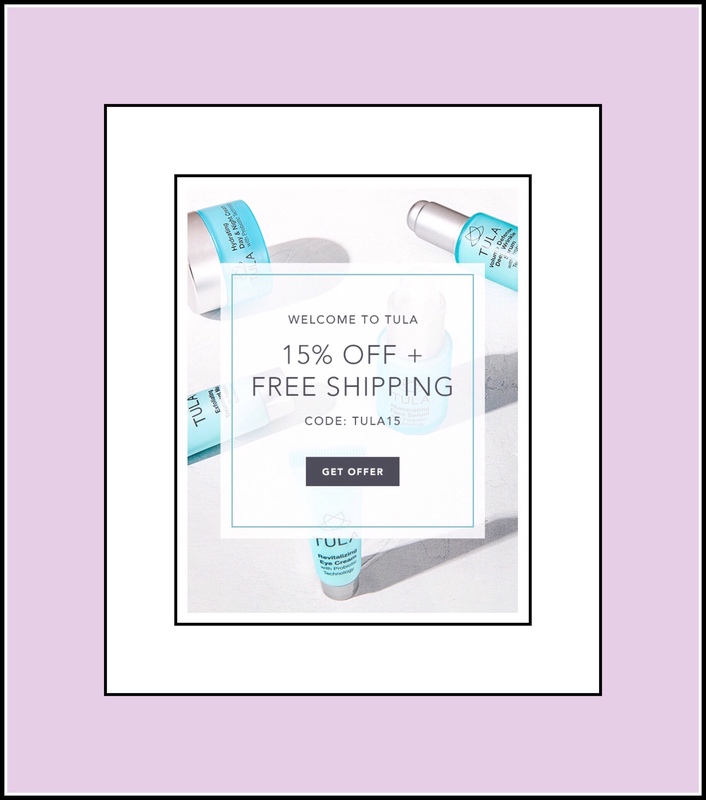 2 of the three companies sell their skincare products on a retail basis. Both recommend their products for acne sufferers. 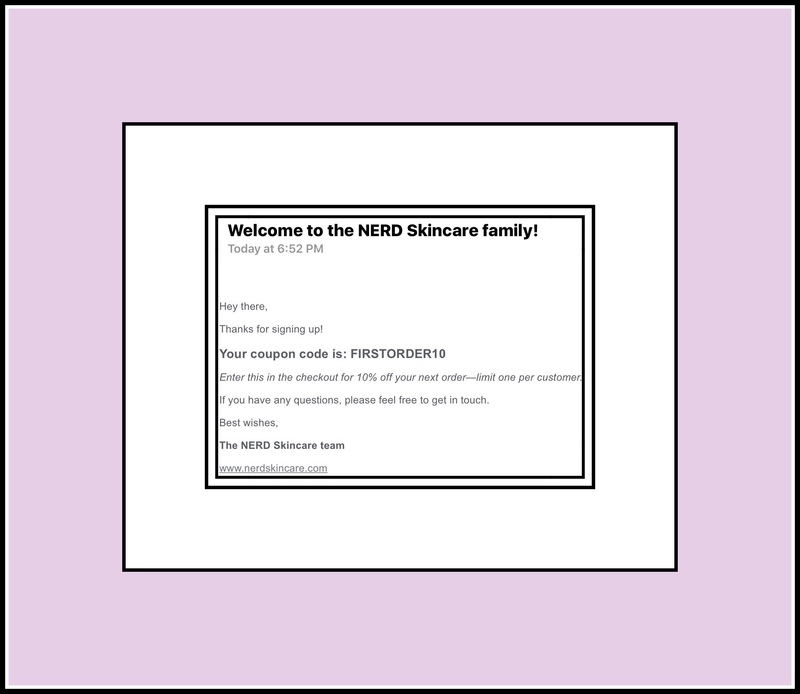 However of the 2 the Nerd skincare line is the only one designed specifically for people with acne. Fighting acne is their sole goal in life. They have this cute video which describes why. When I viewed their video using the YouTube app on my iPad there were other recommended videos in the queue for me too. One of them was a longer negative video review that discusses why the relatively expensive ($300) Nerd skincare line didn’t work for her. Below is that video. I was really surprised to see in the video’s comments that a viewer had learned Nerd’s facial cleanser includes a highly comedogenic ingredient…Myristic Acid. I Googled that ingredient myself…and sure enough it’s highly comedogenic! I was pretty shocked to see that so I emailed Nerd asking them if it was true and if so why. I’d forgotten that some ingredients are more and some are less comedogenic. So just knowing if they are comedogenic is only half the battle…knowing how comedogenic they are is important too. 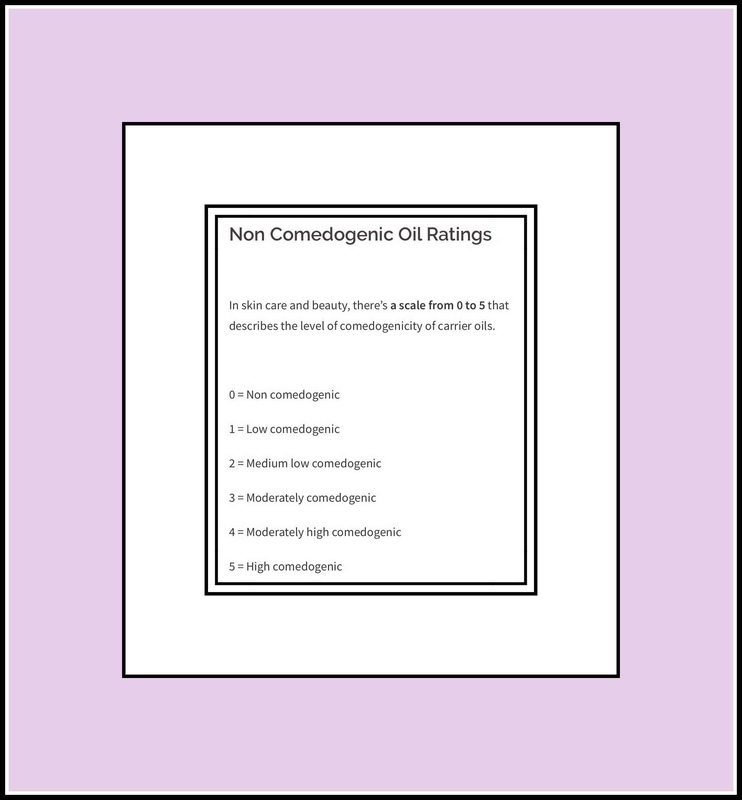 Below is a chart that shows what the different levels of comedogenic are. The 3rd company Thryve’s article mentioned is a company called Tula. Tula sells skin care products that are supposed to be extra healthy for your skin because they include probiotics in their ingredients. While they don’t have a line for acne per se, they have a line for oily skin. Using their ‘Contact us’ page I also emailed them to ask if any of their ingredients were comedogenic because my old method for determining this is so tedious. I was thinking someone should come up with a website where you could copy all of the ingredients that are in a product into a little box and they would check for you…and thinking maybe I’d even try to do that myself. So I Googled comedogenic checker and lo and behold discovered that someone has created a site for that. This website I arrived at is a little confusing…which is another reason I’m writing this list. There are a ton of ads and at first glance I didn’t think it would do what I wanted it to…but I was wrong. The website is actually called acnemantra.com but they call themselves Skingredients Online. After a little bit of a description and a bunch of ads you’ll find a little box to paste in a list of ingredients into. When you paste in the ingredient list it’s important to make sure that each ingredient is separated by a comma. Notice at the bottom of the above screenshot…there’s a little text box? That’s where you paste the list of ingredients into. After doing that you’ll need to answer the math problem in the Captcha to make sure you’re a human and then you’ll see a nice printout of any comedogenic ingredients along with some helpful information about what that means. The next 2 screenshots shows how I copied the ingredients from Tula and what the results were. What I learned was that just because a company claims their products are good for acne sufferers doesn’t mane that they really are! I thought I knew a lot about acne and was using my considerable knowledge to get products that were proven to be helpful…but then I’ve always relied upon the reviews I’ve read at their site as being accurate and honest…and now I realize I have to check out every detail much more thoroughly than I have been. That’s probably why I love Amazon so much…because you really can rely upon their customer reviews. And it’s also why I’ve begun writing reviews on Amazon too. At this end of this post I’ll include a link to the one product I found at Amazon that has helped my acne more than any other…that gives a lot more detail about how acne has impacted my life recently. But before I do that there’s more information from Skingredients website I want to share. 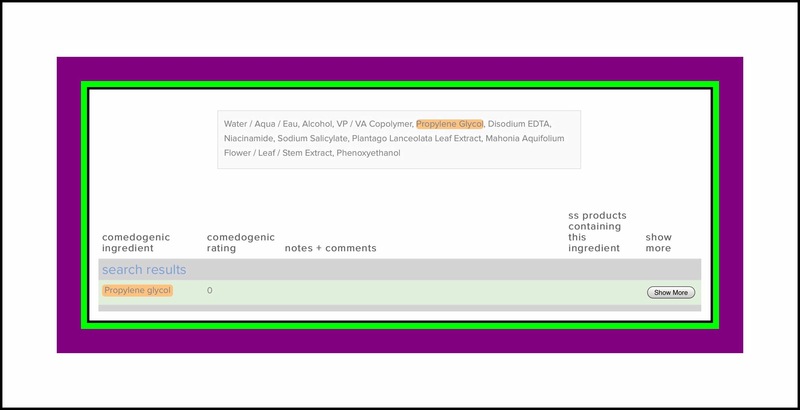 Skingredients supplies more information about what the different levels of comedogenic mean and also how their tool works in various browsers in the screenshot below. I discovered that they also have an Android app which you can find out more about here and in the 2 screenshots below. The one thing I would caution you on is their app seemed to have a lot of crashing problems. It appears looking at the reviews that they fixed it…but the reviews didn’t necessarily back that up. I did that before I discovered that both products have comedogenic ingredients in them…so now I need to remember to go and unsubscribe! And because I feel a like I’ve been deceived I decided to include screenshots of what their promo codes are too. So that if someone else wanted to save money by ordering from them, they could without having to subscribe to annoying emails so the screenshots below are for their promo codes. The one product I’ve found, that I purchased from Amazon that helps my acne more than anything else I’ve tried is the Neutrogena Light Therapy Mask. But the mask has some problems too…which is why I wrote a really long review talking about the pluses and minuses of it. I’m an Amazon Associate, which means that if you follow a link to Amazon.com and then make a purchase within 24 hours, I will receive a small percentage of what you pay to Amazon (but your price will stay exactly the same.) Also, I can’t wholeheartedly recommend this product for anyone else…both because of its inherent problems and because it doesn’t work well from for everyone. It does work amazingly well for me. So I thought I should include it since I’m taking about acne problems and products here. But it also means that I have to remove my review of it at Amazon…because they are very strict about not including a link to anything that you may have written a review for. Because they feel it’s double recommending in a way. 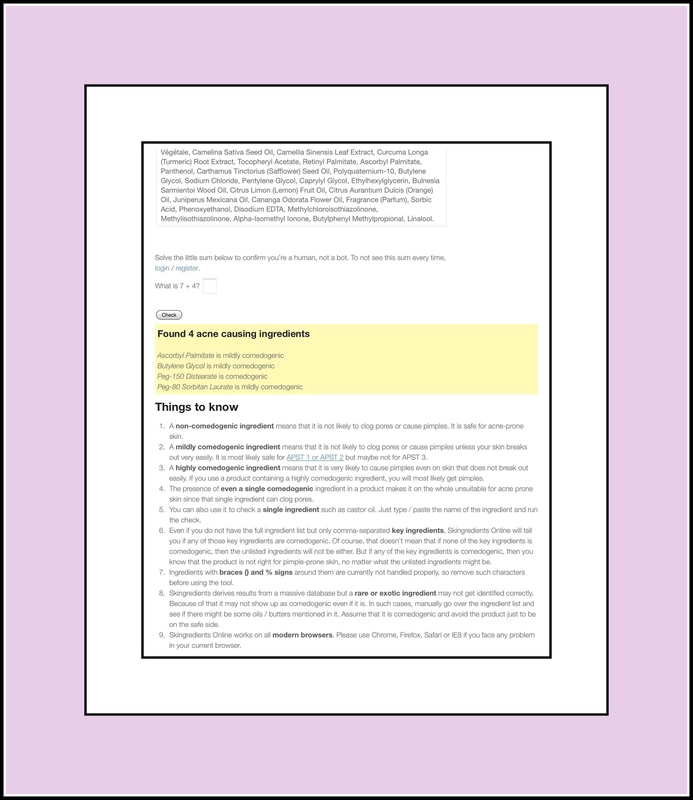 So I’m including my whole very long review here too…and remember it doesn’t necessarily work for all people! I’m downgrading my review for about the 5th time. I arrived at my recent opinion accidentally when I received the 1st replacement mask. I began using the new mask but it failed 1/2 way thru it’s 2nd use…so I took the activator I was in the process of returning and tried it and WOW! it worked beautifully for about 10 sessions. After 2 months of my testing and my use of the mask it’s become obvious to me that I’m beta-testing the mask. I’m a beta tester for several software products and a few hardware devices. What that means is that a product is almost good enough to be sold but there are a few minor problems left. 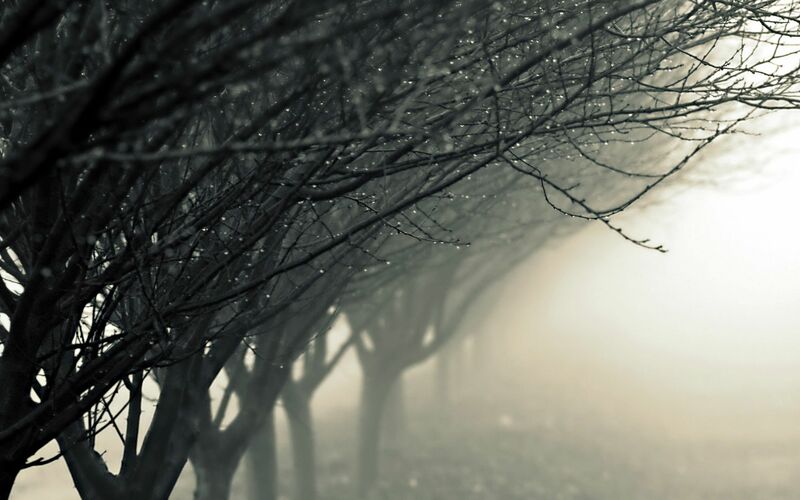 Our role as beta testers is simply to use the product repeatedly and then send the developer a record of any problems that we encountered along with what the conditions were when they arose if possible. This mask is still in its ‘beta test’ phase of life…because it’s not working correctly most of the time. 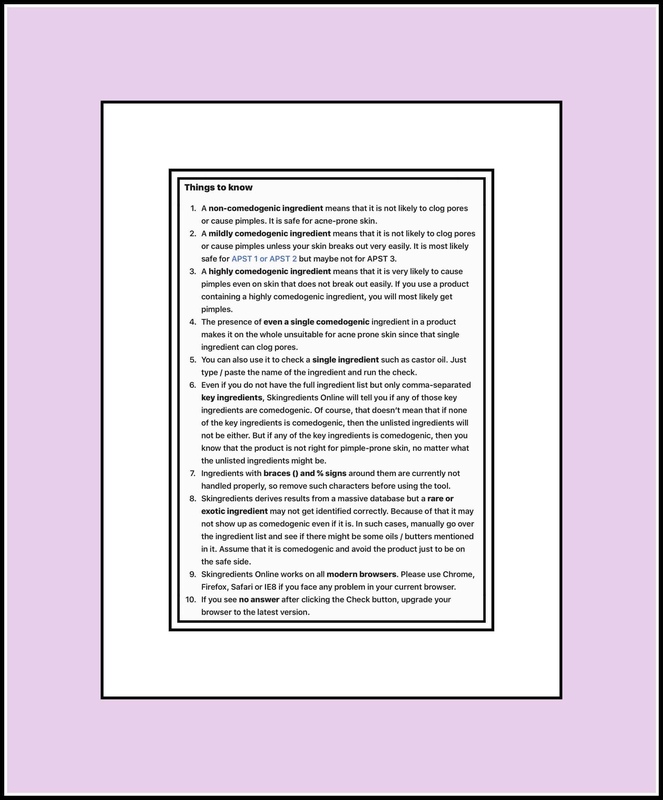 Our reviews of the problems we experience with it are the reports that are sent to Neutrogena that tell them what they need to keep working on to improve it further. In addition to my accidental discovery described above, my evidence that we, the general public are its testers was arrived at by my reading all of the very old reviews here on Amazon. What a I learned was that when the masks were 1st sold many of them didn’t work at all. People wrote a lot of really negative reviews. Overtime the masks have gotten better. Now they work more often than not, right out f he box…but they only operate a their best level sporadically. I’ve owned 6 masks and they all exhibit the fluctuating power problem. I’ve actually purchased even more, and sent them as gifts but I haven’t followed up to see if any recipients have even tried them out yet. If My Theory is Correct Why are There Some Great Reviews with No Problems? I think it would be easy with a mild case of acne to not even notice the power fluctuations. 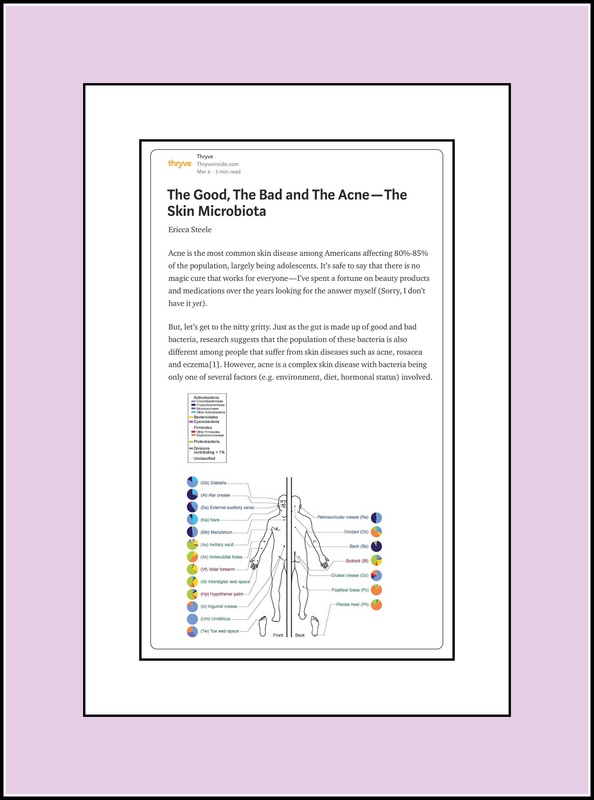 In my case my acne fell in the medium severe level when I began using the mask…possibly even borderline severe…but I’ve seen cases that are much worse than mine so I hesitate to label mine as severe. My acne seemed to be slightly treatment resistant in general. Maybe that’s because I’d taken oral antibiotics to repress it my entire adult life? The technology that these masks employ works really well for clearing up acne…amazingly well in fact…but Neutrogena’s technology hasn’t been perfected yet…because if the power fluctuation problems. I’ve personally used 5 or 6 masks in the last few months. Every single mask is the same. The power of the lights fluctuates. If you have acne that’s severe enough to need to use this daily for more than a week or so, my best advice would be to buy several of them and when one starts to decrease in power switch to it to a different activator. The simple act of swapping 2 of the activators between the same 2 masks can make 2 defective units work again…but this too is sporadic. After a while that combination will stop working too and another switch is required. Having three or four masks on hand (or maybe just having several activators but I didn’t think to try that and I already had the masks) increases the possible number of combinations that you’ll need to keep using this daily at full power. For me, the mask seems to only be effective on my acne when it’s at full power. After 1 month of continued daily use my acne is gone…but it took 4-6 masks to make that happen and the real elapsed time was almost 2 months because repeatedly I had to await the receipt of a new mask when mine would quite working after a few uses. 2. If I open my eyes and look out at something at full power, something like a book or the TV, the lights are so bright that it’s hard to see anything well. 3. If my eyes are closed during full power the ‘images’ I see are usually a field of solid bright orange or once in a great while a power surge appears as very, very bright white. I don have a good sense of what I see when it’s not at full power other than the bright orange is gone. Maybe I’ll see red, black, yellow, or other colors, but the way I can tell is lower power is that whatever color I see, it feels less intense and it’s not orange. But usually fall asleep with it on. 4. It’s now immediately obviously to me now when I first turn it on if it’s at full power or not. If it isn’t, I’m stuck so I usually complete most of the session anyway. 5. I tried having my husband photograph me wearing the mask no hat full power and at low power, but there’s no photographic evidence of the fluctuations. 6. If I take the mask off and look at the inside of it and it’s lights (which is bad for your eyes so I avoid doing this) both my husband and I can readily see that the lights are either ‘less’ bright or ‘more’ bright. 7. Oftentimes the power fluctuates several times within one session which is how I justify to myself that wearing it for close on the full duration may be useful and not a complete waste of my time. But if the majority of the session was at a lower power I’ll usually repeat it again with a different mask/activator combination. My advice if you have medium-severe resistant acne (which was my situation) and you really want it to clear it up ASAP, is to spend about $100, and get 4 masks & use my activator swapping technique and then spend another $100-150 to get 3-5 good forms of oral acidophilus probiotics. Use the mask once daily (even twice a day at first when at your worst) and take 4-5 good probiotic supplements spread out if possible throughout the day. Also I used Neutrogena’s Oil Free Stress Control Triple Action Toner daily 1x or more times on the worst areas. I also used Tazorac, which is a prescription strength Retina product daily…but I was using that all along and long before my massive acne event occurred. So I don think Tazorac made much of a difference. But there are some good OTC products that do about the same thing, which is something you’d need to research if you were interested. If I had to do this all over again I’d prefer spending around $250 all at once upfront and in around 30 days or less my acne would have been completely gone. I wouldn’t have had to waste tons if of time researching alternatives to keep my progression moving forward or at least not going backwards while I returned masks and awaited new ones. 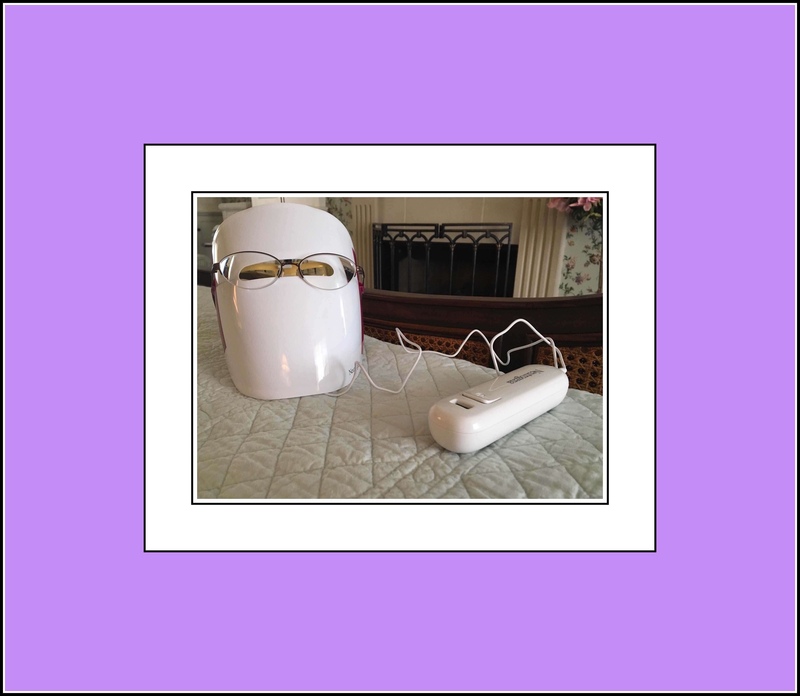 I spent a l more time and money researching alternative light therapy products to use while I waited for the new masks to arrive. One thing I’m certain helped me a lot is taking massive doses of acidophilus. I discovered that this was a recent scientific discovery and that many dermatologists are now prescribing them for use in treating acne. I researched this idea and learned that it’s not all that easy to get your gut bacteria realigned and that you need to take a lot of good quality acidophilus types of supplements. So then I read a bunch of articles on that subject and found 4-5 of the best ones that were recommended which I could also order on Amazon and I began taking about 5 per day. 2 months later the areas that I wasn’t treating with the light therapy have also cleared up completely…I believe this is due to the probiotics as well as using the Neutrogena Toner mentioned above in My Regime. I continue using the mask 2-3 times per week to make sure I don’t have a recurrence. I slowed down the acidophilus as some ran out but then after 2 weeks of being completely clear some new small blemishes appeared so I just reordered the probiotics I ran out of. Contact Neutrogena at 1 (800) 582-4048. If the mask is defective and you haven’t hacked it they should provide you with a refund check and send you a return envelope to mail back the defective mask. Amazon allows returns if you stay within their guidelines. I forget what those are (maybe 15 days for this?) but that should be on the product page somewhere…if not call Amazon and find out before you buy it. They returned some defective units for me…but I had to do it soon enough to be within that time period. Below is My Most Recent Older Review…I’m leaving this in because there’s lots more information not covered above. I’m downgrading my 1st extremely positive review for the 2nd time because my 2nd mask just failed after its third use. I’m 60 and I have had medium to severe cystic acne since my teens. I’ve seen dermatologists my entire life and been on medications to control my acne. I’ve taken everything from 3 courses of Accutane, most of the antibiotics, Spironolactone and use prescription Retina products. For one reason or another I can no longer take any of these and stopped taking my most recent antibiotic in December of 2016. As other reviewers have written, it seems like when you’ve suppressed acne with medications for long periods of time, once you quit the medication your acne returns more virulent than ever. It took a few months before the acne returned but when it did my outbreaks have been some of the worst I’ve ever experienced. I didn’t believe that this mask could help me because of the severity of my symptoms. So I was ecstatic when I showed marked improvement after just one treatment. I was certain it would clear me up entirely in about a week, and I still believe that it would have had it continued to function. I began using it twice a day. The effects were positive and cumulative. Best was that I didn’t experience any negative side effects. But on about day 4 my Mask’s lights seemed less bright. I continued using it anyway however in the hopes that it was still effective. It wasn’t. I emailed Neutrogena and was waiting for a reply which finally came about 5 days later. If you’re serious about banishing acne, don’t rely on just one mask…they are just too unreliable and could fail like mine did…twice, at any time. I’m ordering 2 more masks to hopefully have one functioning and a backup. When my 1st one failed, I spent a lot of time trying to figure out alternatives to use while I awaited Neutrogena’s reply to the failure of my 1st mask. I’d ordered some other light therapy devices from Amazon that began arriving, to supplement the faltering power of the Neutrogena Mask which I continued to use it at what seemed like about 50% power. Ultimately I realized that 50% power wasn’t enough for it to work. Thank goodness I found 2 other standout fill in devices because going even 1 day without a light treatment causes my acne to regress. I wrote reviews of them you can find at my profile since every time I try to share them here my review doesn’t update. I’ve read all the reviews and overall the mask appears to successfully treat 80-90% of Amazon customers. For me, the mask works exceedingly well…when it’s actually functioning at full capacity. The main reason I’m taking away a star is because there’s a very high failure rate for the masks. Also I’m frustrated how long it’s taken for Neutrogena to respond to my problems. Sadly it appears that around 50% of these units end up failing…if not more. I think that the mask was released before it was really ready…based upon what I read of the very early reviews where a lot of people received masks that wouldn’t even power on. Now it appears that problem is resolved but about 1/2 of users experience lowered functionality within a few uses. * I like that for me it’s comfortable, relaxing, and extremely effective…when it works. * I wish the mask covered more of my chin because that’s where most of my problems are. I end up sort of holding it while pushing it up a bit to hit more of this area. * The inside eye protection is nice but I’m not 100% sure how well it protects. Based on other reviewers information, long term blue light exposure can lead to macular degeneration so I plan on being much more careful when my new mask arrives. * The failure rate of the mask is too high. In reading reviews it seems like about 50% of customers either receive one that doesn’t work at all or that fails after a few uses like me. * The way they handle the defective units is cumbersome. They should just send you a new one, but instead they seem much more concerned about retrieving the broken one than in their customers’ getting replacements in a timely manner. They are sending me a return label or envelope and a check to buy a new one. * The cost of refill activators is a definite con but hacking it is the counter balance. There are tons of YouTube videos to guide me. It looks easy and only requires the use of a soldering kit ($15 on Amazon.) The videos are so detailed I think I could handle it. Their convoluted and slow procedures for addressing problems with these masks gave me my justification for thinking that hacking the activator is OK. But the high failure rate of my masks really made this a nonissue for me to date. I came up with a way to use it with my glasses so I can wear it watching TV. The inner glasses protect your eyes and I’ve taped an old pair of my prescription glasses to the outside which you can see in the attached photo. Even though there’s built-in eye protection I’ve learned that blue led lights are bad for eyes and can lead to macular degeneration. Since we have that amongst elderly relatives already, I try now to keep my eyes closed while using the mask…despite the act that left my jury-rigged glasses in place. There are some great videos I found at YouTube that show how to modify Neutrogena’s Mask so you don’t need to keep buying new activator units for it. Below is the best video I found. I also made a screen by screen tutorial for myself to actually Follow when hacking the Mask, which I’m not including just because this post ended up so long. But if anyone would like me to include them, just let me know in the comments section which you can find by scrolling down towards the bottom of the page and looking for the little box.